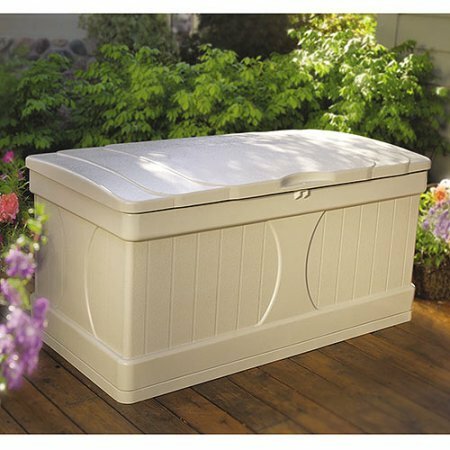 99 Gallon Light Taupe Resin Deck Box, Long-Lasting Resin Construction, Stay-Dry Design, the Deck Box in Cream has a Lockable Lid, Easy, Quick Assembly, No Tools Required, Plastic by Suncast at Outlet Shopping Guru. MPN: DB9000. Hurry! Limited time offer. Offer valid only while supplies last.